Case of: 96Colors: white, blue, redMaterials: plasticDesigned in a compact carrying size perfect for traveling, desk drawers and gym lockers, this Magic Lint Remover picks up and removes lint, hair, dust and dirt. Great on upholstery, too. Lint remover has no paper to remove - just roll over area to be cleaned then use a wash cloth with soap to clean roller. Folds close to keep clean when not in use. 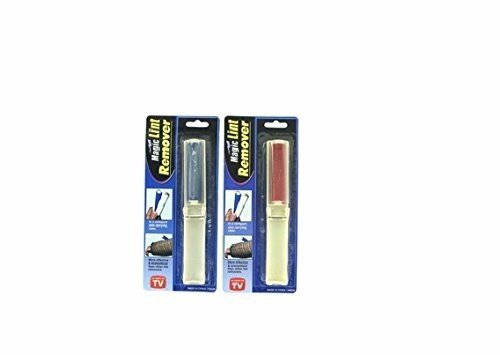 Roller measures approximately 7 1/2" long when opened. Fold close to 4". Comes in assorted colors. Comes packaged in a blister pack.